Developing a bug out bag and/or go bag for emergencies is probably one of the first things you’ll do when you start prepping. If you’re new to this, it can be an intimidating task. For one thing, you need to be able to reasonably predict what you’ll need in an emergency scenario. It’s nearly impossible to account for every imaginable situation, but some things are universal. There are a lot of survival bag checklists available, which you can modify depending on your situation. Most build-your-own” bag lists include the obvious necessities: shelter, food, water, etc. It’s easy to overlook some extremely useful items, however, because they don’t fit neatly into any one category. Moreover, most of these lists cover what you should keep in a BOB, not a go bag. 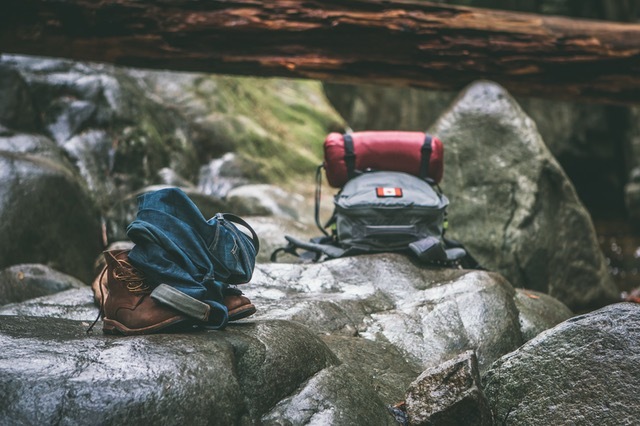 Though people often use the term “bug out bag” and “go bag” to mean the same thing, there is a slight distinction between the two. Bug out bags are generally larger, heavier, and stocked with enough supplies to keep you going for at least a few days during an evacuation. Meanwhile, a go bag is typically a smaller, lighter, and highly-portable bag intended to supplement your main pack. A tactical backpack or sling bag is ideal for storing extras of the kinds of things you’d be carrying on your body, including ammo, spare batteries, and signaling devices. The following are a few bug out bag/go bag necessities that are sometimes forgotten but will serve you well should an emergency situation arise. If you have room in your bug out bag you can add them there, but most often the smaller, lighter go bag will need to be used. This one may seem obvious. After all, 50’ lengths of 550 weight paracord are a bug out bag gear list favorite. Rope is also a common component in many pieces of gear you probably already have. So why recommend it? Rope is one of the most versatile things you can carry. In my opinion, it’s only slightly less essential than a good knife. In a survival situation, rope can help you meet all your basic needs: shelter, water, fire, and food. It will make shelter building a lot easier, whether you’re trying to pitch a tarp (which can also collect rainwater) or build a lean-to shelter. You can use it to construct a bow drill for fire-starting. It can even be used to make snares or makeshift fishing gear. On top of all that, rope is light. At under half an ounce per 10 feet, the ever-popular 550 paracord barely tips the scales at all. It’s also very easy to keep extra lengths of paracord in macramé bracelets or wrapped around knife handles for maximum portability. If an emergency requires you to get away from your home, finding shelter is a primary concern. A well-planned go bag should contain something to keep you warm and dry, whether it’s a tent, a tarp and some rope, or a plastic garbage bag. However, spending all night under just a tarp is a miserable experience, no matter how well you pitch it. That sort of shelter set up virtually guarantees that you will not get very much sleep at all, which makes it hard to stay sharp in an emergency scenario. It’s a very good idea to build some better sleeping arrangements into your go bag. A compact sleeping pad is a surprisingly important part of a good night’s rest in the wilderness. As it elevates you off of the ground, it will help keep you much warmer than sleeping on your shelter floor. Every wilderness reality show showcases just how hard it can be to get a fire going without modern tools. It’s not easy rubbing two sticks together to create a flame. Add to that the stress of being cold and wet and the likelihood of successfully starting a fire drops—and so do your chances of survival. With that in mind, it’s important to ensure your go bag includes some efficient means by which to make fire. A well-stocked emergency kit might include a lighter and tinder in a waterproof container. A brand new lighter should last a long time and, unlike matches, it won’t be ruined if it gets wet. Being able to craft something like a bow drill or a fire plough in a wilderness setting is a very useful skill that could end up saving your life. However, it’s always a good idea to have a few backup options in your go bag. Because disposable lighters are light and cheap, always have at least two lighters on you when you’re out in the wilderness. While this may seem silly to add this to a go bag, taking good care of your feet is critical in a survival scenario. Many of the situations where you would need to use a go bag also require a lot of time on your feet. An extra, clean pair of socks can be the difference between hiking an extra five miles and being laid up due to blisters. Dry socks don’t just prevent blisters. During World War I, the British army suffered 20,000 casualties because of trench foot. Trench foot is a medical condition caused by exposing one’s feet to cold, wet conditions for prolonged periods of time. Many soldiers needed to have toes or feet amputated after developing trench foot. Thankfully, trench foot is highly preventable. One easy way to avoid conditions like trench foot is to frequently change into dry socks. Ideally, choose a pair merino wool socks. Unlike cotton or nylon socks, wool wicks moisture away from your foot, so it is better at keeping feet dry than other materials. Keeping an extra pair in your go bag won’t add a lot of extra weight, and they’re well worth having. Of course, a first aid kit is essential in a go bag. Nobody wants to be injured in an emergency situation with no way to help themselves. If you’re familiar with first aid, it’s totally appropriate for you to build your own kit. It’s tempting to just buy a kit at a drug store and pop it into the go bag without giving it much thought. But, many first aid kits designed for home use are not equipped for wilderness use. A home kit designed to treat scrapes and paper cuts won’t pass muster when lives are on the line. One first aid kit component that’s usually missing from home kits is the trusty triangle bandage. These are the multitaskers of the first aid world. They are used to tie slings, secure splints, and stabilize wound dressings. While a bandana will work in a pinch, triangle bandages are usually larger and cleaner than bandanas. It may be a good idea to carry both, as bandanas are useful clothing items anyway. In essence, build a go bag with compactness and mobility in mind. Your BOB will keep you alive and healthy in a days-long survival situation, so use your go bag as an extension of the kit you keep on your person. Aim to have a few lightweight multi-purpose items suitable for a wide range of scenarios—items that will keep you going long enough to signal for help and get back to safety. Thanks Angelica – I needed a reminder to buy some rope. If you are in the second story of a burning house, a rope would be completely necessary! Erik, Rick was a firefighter for 23 years and he would totally agree with you on that one! A rope or a collapsible ladder for sure! I am loving these posts! It’s so enlightening to see how others are prepping. I get so many ideas! I’d like to mention an EDC or Everyday Carry. Mine is small, compact, and fits right into my purse. I also have one in each of Little Daisy’s diaper bags in case we were to ever need anything. Another thing that I always have in my vehicle is Little Daisy’s stroller. She may be 3, but if for some reason we were to ever get stranded somewhere and need to walk, her little legs could only carry her so far. And then I could only carry her so far. It’s with us 99% of the time…just in case. Love the idea of an EDC!!! We have one of those too, sort of. The more we learn about prepping, the more easy we find it to know what we need to have and grab in case of a need of emergency evacuation.